It's a fact... Canadians save a lot of money and have less headaches when they travel through Buffalo Airport. Compare Costs... our Buffalo Airport Limo Transportation Service costs about the same as an Airport Shuttle or taxi! However, our chauffer driven vehicles provide more legroom, are more comfortable provide an overall relaxing experience as compared to airport shuttles or airport taxies. Parents: Yes, we can provide Booster Seats for Toddlers upon request during your reservation. If you are planning a trip which involves travel through the Buffalo Airport consider a limo... it costs about the same as an airport shuttle. Call us now and reserve your limo ride to the Buffalo Airport or other venue in and around Buffalo NY! Buffalo Limousine Services by Toronto Airport Taxi is an exceptional limousine service company serving Toronto, GTA and Niagara Peninsula and surrounding areas. It's easy to reserve a Buffalo Airport limo. We have everything from luxury sedans, Lincoln Towncars, Cadillac Escalades to 14 passenger SUV Stretch Limos. All of our vehicles are very well maintained, under two years old, and are properly licensed and insured. You'll feel comforted knowing that you have chosen the best Airport Limousine service around! We will meet and exceed your transportation needs better than any other transportation company you may have used in the past. Toronto Airport Taxi provides excellent Buffalo limousine service that will satisfy all of your transportation needs. It doesn't matter whether you need transportation to or from the Toronto airport, the Buffalo airport, a night out on the town, or for your next special event; we've got you covered! 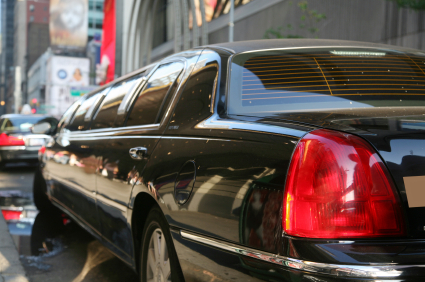 No matter how large your party, our Buffalo limousine service will definitely fit your needs. We have many different vehicles that can hold any size party you have. Better yet; our prices are second to none! It is a lot easier than you think to afford and use our Buffalo airport limo service. We are always striving to become the best Buffalo limousine service around. Our drivers are fully trained, and know the Buffalo area extremely well. You can rest assured that you will arrive at your destination quickly, safely, and comfortably. We also take pride in the fact that our drivers are the most considerate in the business. The point is, Buffalo airport limo has you covered no matter what your destination is in and around the Buffalo or Greater Toronto area. We offer a very affordable flat rate for Buffalo Airport limo service. Please don't hesitate to inquire about any special needs or services you might have. Please Note: Rates shown represent the "one-way" cost "per vehicle" to/from the Buffalo Niagara International Airport for each of the respective city/vehicle combinations. Rates quoted are for the vehicle not the number of passengers. Travelling from Canada to Buffalo Airport? Our Buffalo Limousine Services are the very best there is in reliable, safe, luxurious transportation. 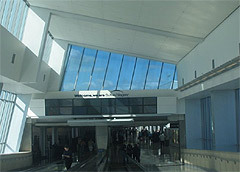 Experience our hassle free Buffalo Airport Transportation Service on your trip to the Buffalo Airport. We provide airport limo services to the neighboring communities of: Niagara Falls, Fort Erie, St. Catharines, Niagara-on-the-Lake, Grimsby, Winona, Beamsville, Smithville, Stoney Creek, Hamilton,Ancaster, Dundas, Burlington, Oakville, Mississauga and Toronto. At Buffalo Limousine Service our goal is to get you to where you need to go in comfort, style, and luxury. Though there are other limousine companies out there, you can rest assured that your trip and travel will run as smoothly as possible when you select us as your preferred limousine company. Buffalo Airport limo is definitely the way to go! Call Us! Our Buffalo Limousine Service would be pleased to offer our airport taxi service to pick you up and shuttle you to/from Buffalo Niagara International Airport, Niagara Falls International Airport. The City of Buffalo has many locations of interest to tourists. More information can be found on the Buffalo Tourism website. Buffalo is a city rich with culture and history. From the inspired architecture of the "Avenue of the Presidents" to our exciting championship sports teams, The Buffalo Bills and the Buffalo Sabres, to our famous art collections and exhibits, Buffalo shines! Let Toronto Airport Taxi be your luxury transportation provider for trips and special events in and around Buffalo and Niagara Falls. 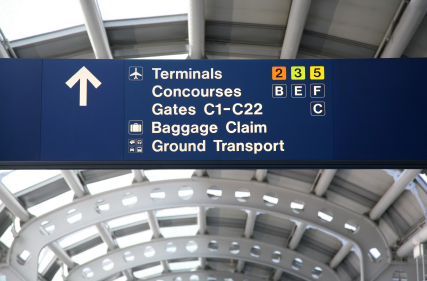 Our Buffalo Airport Transportation service is always courteous, friendly, professional and reliable.